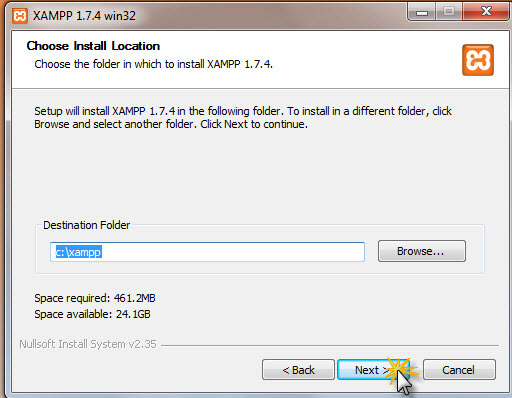 Today I’ve got a reader-requested tutorial about how you can install WordPress on your Windows 7computer (same applies for Windows XP & Vista). This is such an important part of my WordPress working life, and if you don’t know how to do it, now’s your chance to learn. But first…..
Why Would I Want to Install WordPress on my Computer? This gives me all sorts of scope for testing stuff out, playing around – a WordPress playground right on my computer. 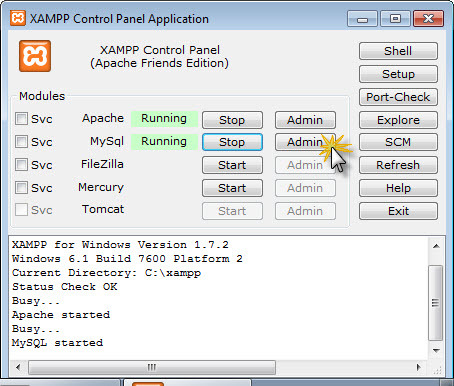 Xampp is an Apache distribution containing MySQL, PHP and Perl. This makes it awesome for WordPress.You can download it from here. There are a number of different distributions so make sure you select the distribution that’s correct for your operating system. For the purposes of this tutorial we want the Windows distribution. 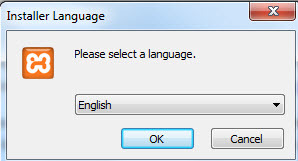 Double click on the installer and choose your language. Would you like to add Facebook comments, registration, ‘Like’ buttons and autoposting to your WP site? Well, The Ultimate Facebook plugin has got that all covered! 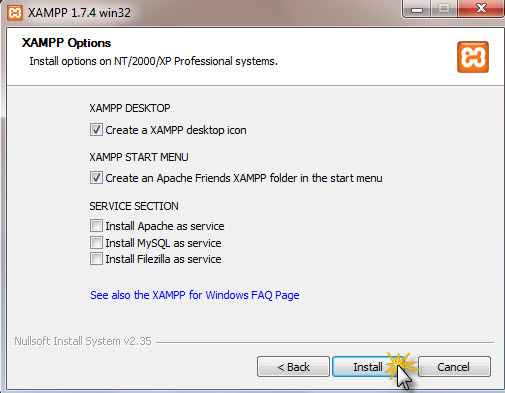 Decide where you want to install xampp. Sit back, relax, wait for it to install. 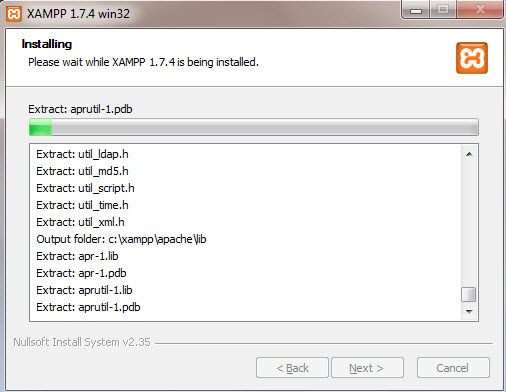 Start Xampp. Start Apache and MySQL. You may get a warning from Windows. You want to make sure that Windows allows access. 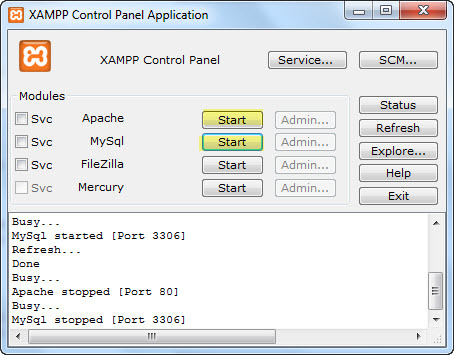 On your Xampp control panel click the admin button beside MySQL. It’s now incredibly easy to start your own Q&A site using nothing more than WordPress – The Q&A plugin simply and brilliantly transforms any site, or page, into a perfect support or Q&A environment. Choose the name for your database. I’m naming this one singlesite – you can call it whatever you want. Note: if you are doing a live installation on a server you must add a username and password. Do not use “root” ever on a live site. 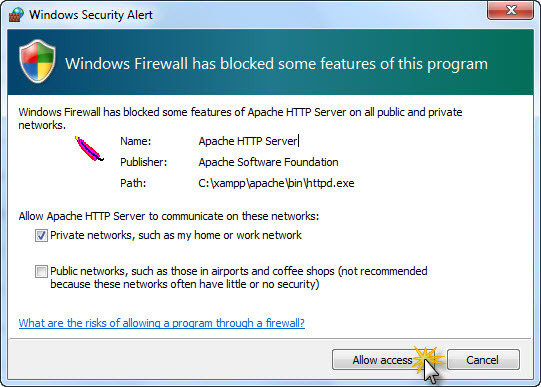 This isn’t necessary on a local installation. Unzip WordPress there and rename the WordPress folder to whatever name you want. I usually match mine to my database name. 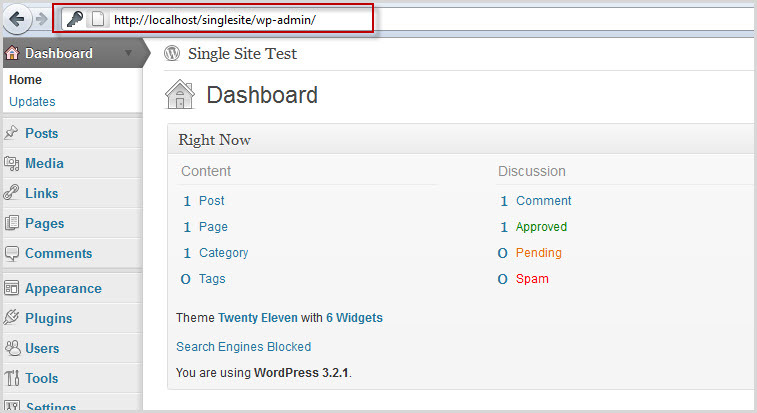 Open up wp-config-sample.php and find the MySQL settings. Remember to replace singlesite with whatever you called your database. Out of all the WordPress ecommerce plugins available, this has got to be the winner – easy to configure, powerful functionality, multiple gateways and more. A simply brilliant plugin! The familiar WordPress installation screen will appear. 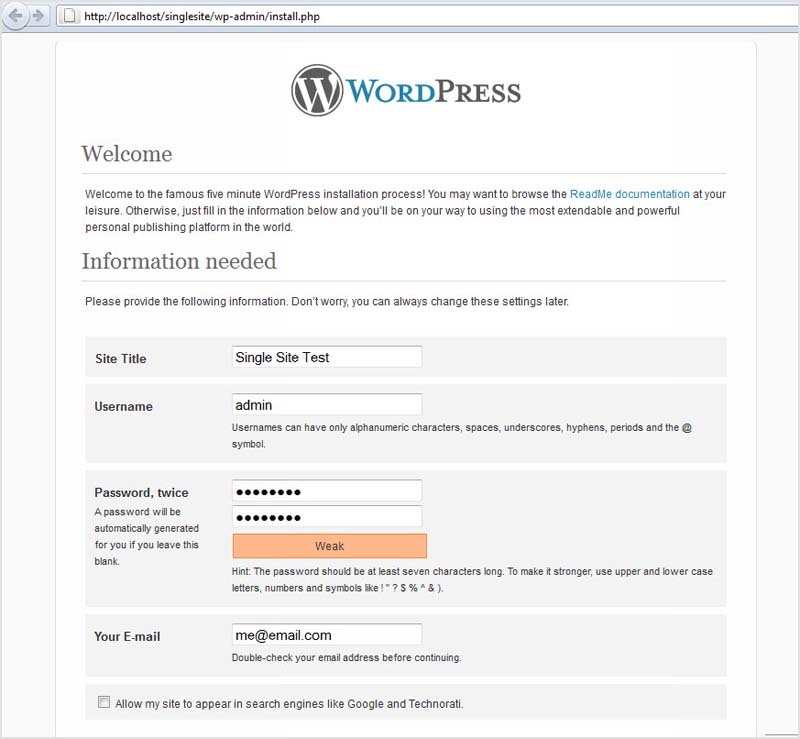 There you go – WordPress is installed locally on your computer. Integrating bbPress as a Site Wide forum for your WPMU site Taken from: The WordPress MU Manual bbPress is forum software created by WordPress.org that easily integrates with your WMPU site….